Show the first slide of the PPT found below asking students what the foods have in common. Most of them won’t guess that they have all been genetically modified. What do the letters GMO stand for? What does genetically modified mean? Share the definition. To learn more about genetically modified foods I show them the video titled “The Eyes of Nye: Genetically Modified Foods” found here, and have them complete the questions found here. After going over the video questions, I have students randomly select a GMO food from my basket to complete a mini-project shared by FACS teacher, Charity Strauch of Missouri. In this project students research the process involved in altering their food and look at the risks and benefits associated with the modification. Students then present their food findings to the entire class to educate everyone. Posters are then hung around the school or classroom to help inform others. At this point in the lesson I assign an article from Newsela titled “PRO/CON: Is it time to lable GMO foods?” and have students complete a pros/cons graphic organizer (a TPT Freebie) so they can learn about both sides of the debate in order to take a position and take a stand. Newsela articles can accessed free of charge. All you have to do is sign up for a free account. 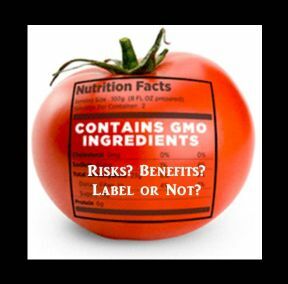 We briefly discuss whether GMO foods should be labeled. Be prepared for some heated discussion! Finally, students complete a Collins Type II writing sharing their position and supporting with reasons they learned from the project, discussion, article and video. Even if I don't agree with it, thanks for the TED Talk on the counter argument Kathy!